At some point in our lives, nearly all of us have been stuck in the wash-rinse-repeat cycle of Sunday Mass. We go to church, listen to the Gospel, receive the Eucharist, drive home and do it all over again the next week. When we’re operating out of habit, we’re present but not really present. It’s a shame, too, because active participation in Mass offers a special opportunity to deepen our faith and more fully explore our relationship with Christ. As practicing Catholics, we know this. But some days are harder to engage than others, whether it’s the drone of an underwhelming homily, the distraction of fidgeting kids or the weight of carrying heavy personal burdens. So how can we make sure we’re getting our faith’s worth when attending Mass? Being open to change can be a good start. Sometimes, it’s a simple shift, like swapping your regular seat in church for one with a different vantage point. If you’re a regular at the 8:00 a.m. Mass, consider instead going to the vigil instead. The consolidation of parishes in Lynn Palcic’s diocese prompted the Bentleyville, Pennsylvania, Catholic to change up her regular Mass schedule. While she didn’t expect it, she discovered the new faces — both on the altar and in the pews — gave her a fresh take on experiencing the Mass and developing community with others. “Sometimes just going at a different time will shake up your routine,” she said. 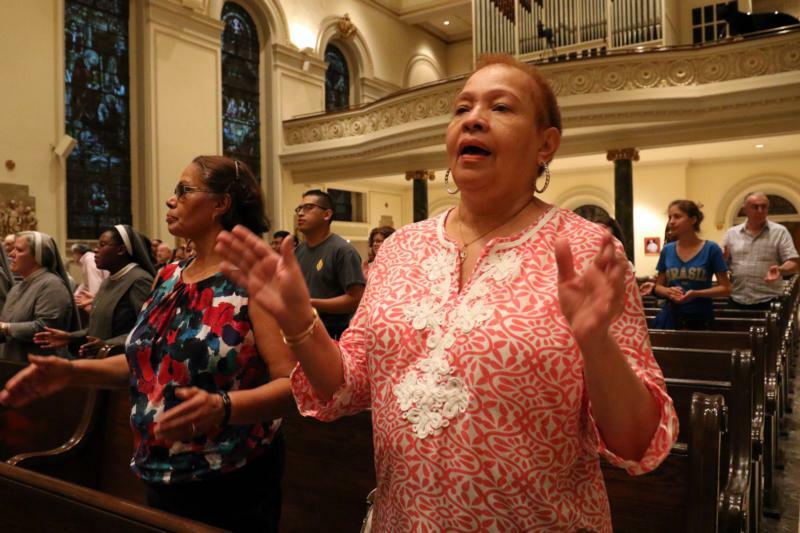 Music makes the difference for Joe Gawinski, 63, who has been singing in organized choral groups since he was in the sixth grade. He’s currently part of the choir at St. Helena’s Parish in Wilmington, Delaware. The choir learns new music each week to complement the readings. Gawinski said singing in the choir helps him focus on why he’s there, but the benefits of the music extend beyond the church doors. “During the week, all I need to do is think of a recent song title and the words transport me to a healthier place,” he said. It’s also worth realizing that our needs during Mass can change depending on the stage of our life. In our youth, it may be the actual habit itself that we are cultivating. As we get older and our lives get more hectic, Mass may be valuable because of the opportunity for silent prayer and thanksgiving. Joanna Fitzmaurice of Great Falls, Virginia, uses the quiet time of Mass to reflect on the past week and think about the week ahead of her. Sitting in church with her husband and three children, it’s easier to give thanks to God without the chaos of daily life to distract her. She also returns to the readings and Gospel as part of her reflection. Rarely do we have to do anything on our own anymore, thanks to advances in technology that make our lives easier. But there’s one place we can’t be on autopilot, and that’s at Mass. Our faith depends on it.